Roller skating is a most popular activity today. It can be performed as a sports event, artistic dance form, leisure activity or a modern form of exercise and also as a mode of transportation. Once you become skilled at how to move and control and stop you can glide all around the rink. People fear from falling backward or forward while skating. It is not so tough task to accommodate your body with the fast skating motion. But if you keep the right form, you will not fall. Put on the full set of protective equipment, you will not get hurt while falling forward. Maintain a simple form of skating to shift your body’s center of gravity. Just bend your knees at the angle of 120 degrees and lean forward. 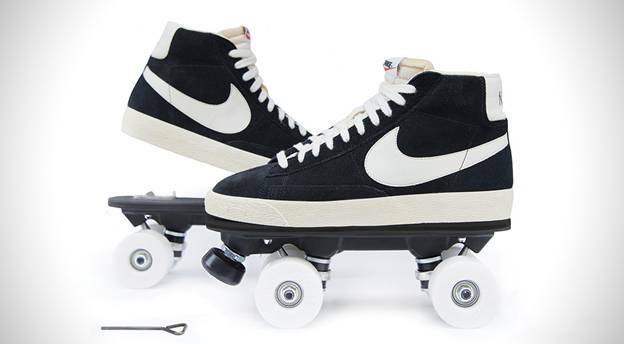 Now you can move on the wheels of your Roller-skates. Always start with the safety guards on. Solid knee and elbow guards, correct sized wrist guard and a helmet are the required essentials for safe skating. These will protect you from getting hurt during a fall on the floor. Take a right sized of skates that fit you comfortably. Tighten the boots according to your comfort level. Absolute stability is one of the basic things for skates. Bend both the knees to about almost 120 degrees and lean your body forward. Maintain the position of your head frontage of the knees. This position shifts the center of gravity to protect you from falling backward. Keep one foot stationary. Move the other slowly from side to side or backward. Initially push slowly to gain balance and control over your skates. After completing a few laps following this you can then switch your foot. Practice rolling on both of the feet at a very slow speed and turning. Try to turn on a higher speed. After getting familiar with the skates, you can perform at a higher speed and turn faster. It will allow you to stop with more control. Try to learn how to stop. It is vital to stop whenever required. You need a confident thrust to break on the ground. If you want to stop at the right time press down hard otherwise you may be misbalanced. If you learn to jump while skating you are now a confident one. Skating backward needs practice. You need to keep your heels apart and toes together just opposite the forward skating. It may be more complex to maintain your balance while skating backward because you cannot see your back. Begin at a slow pace and adjust yourself while turning to look behind. Avoid leaning forward and prevent yourself from falling down. Keep in your mind that, start skating under the supervision of an expert trainer. 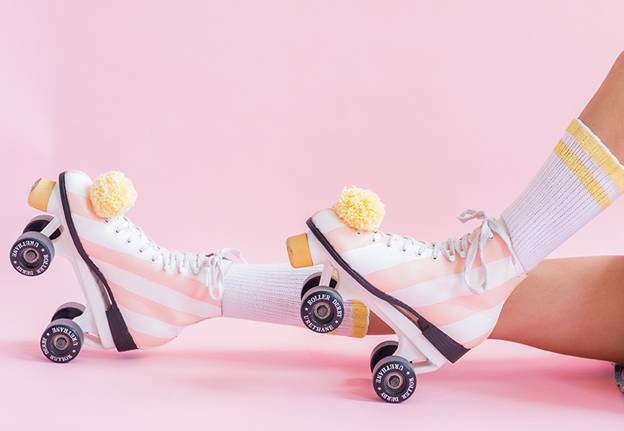 There are various types of roller-skates to pick up from. Decide which one you want, a pair of racing skates or a pair of jam skates. Choose your right pair from the different options. Check if it is fitted comfortably in your feet and whether you can control or balance on those wheels.